Are you tired of your cookie-cutter white bathrooms, without a touch of personality and style? 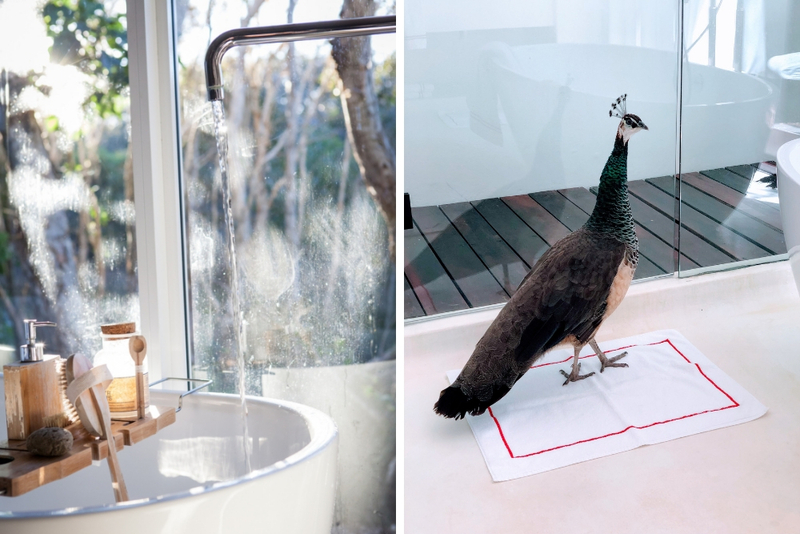 Well, no matter if you want to remodel your space or give it some extra charm, here are a few fantastic ideas that will undoubtedly inspire you to create a quirky and eclectic bathroom! Even though you can quickly change your color palette, make sure your first choice is a doozy! Sure, contrasting colors can look amazing in a quirky bathroom, but you can’t just throw two or three colors together and call it a day! Start by observing your existing palette and think about shades that you especially like. Then, try to see how these different colors work together! Depending on your mood and preferences, you can make your bathroom very bright or dark and moody. The first option will look amazing when provided with plenty of intricate lighting fixtures like hanging pendants, crystal chandeliers or interesting wall sconces. 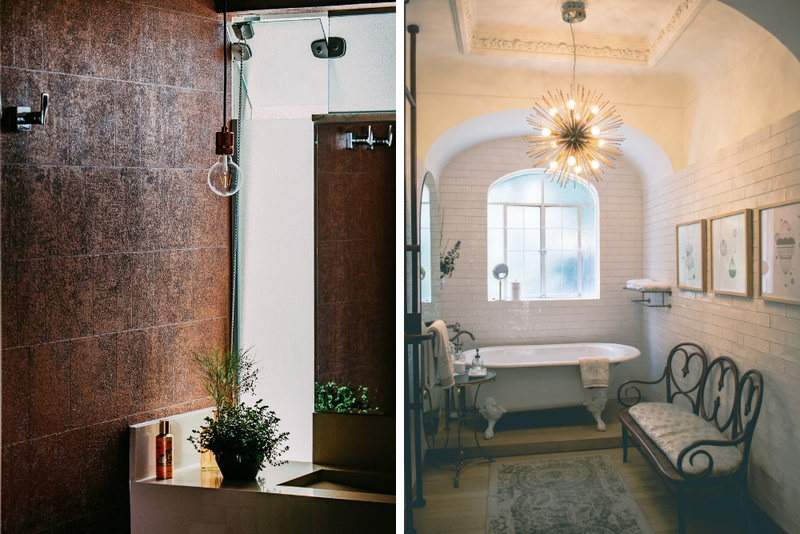 Eclectic bathrooms that aim to achieve a moody vibe, you can opt for floor lamps, saturated lampshades, and even vintage iron chandeliers. Sure, glass enclosures might look cool, but they lack some serious style. Instead, try installing a circular shower curtain with a ceiling-mounted shower head. That’s a perfect solution for tiny bathrooms that aim for a significant effect! Plus, your new shower head will feel merely unusual—like standing in a summer rain! Adding vintage elements to contemporary design is another great way to boost eclecticism in your bathroom. For instance, a vintage claw foot tub with through-the-floor recalls will stand in perfect contrast to modern cabinets or lighting fixtures. 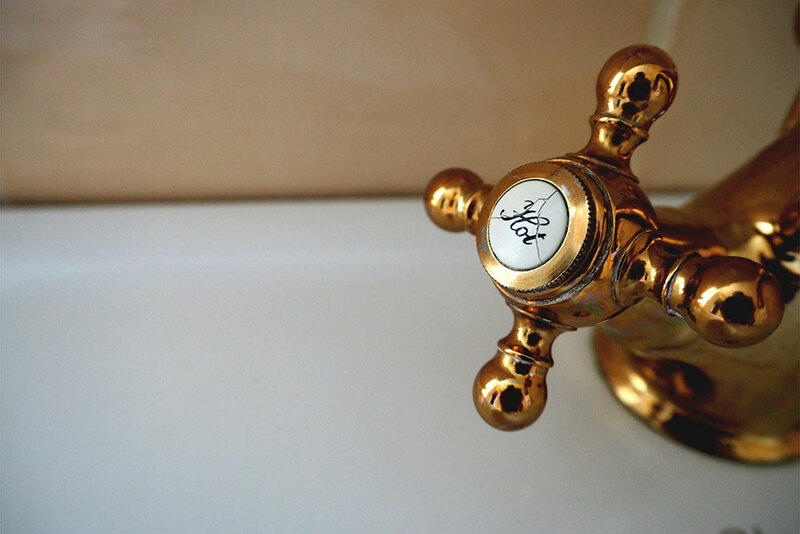 However, pay particular attention to the condition of your pipes before doing any plumbing works. If you find yourself with clogged ducts, don’t start digging up your drains and replacing them with new ones right away! Instead, try practical pipe relining that’s a much quicker, cheaper and less disruptive way to repair pipes. The result is an entirely new ‘pipe within a pipe’ without any damage to your property. It’s an elegant trick to keep in mind! Not many people imagine cozy armchairs in the bathroom, but that’s what eclecticism does—it surprises and leaves a memorable impression. 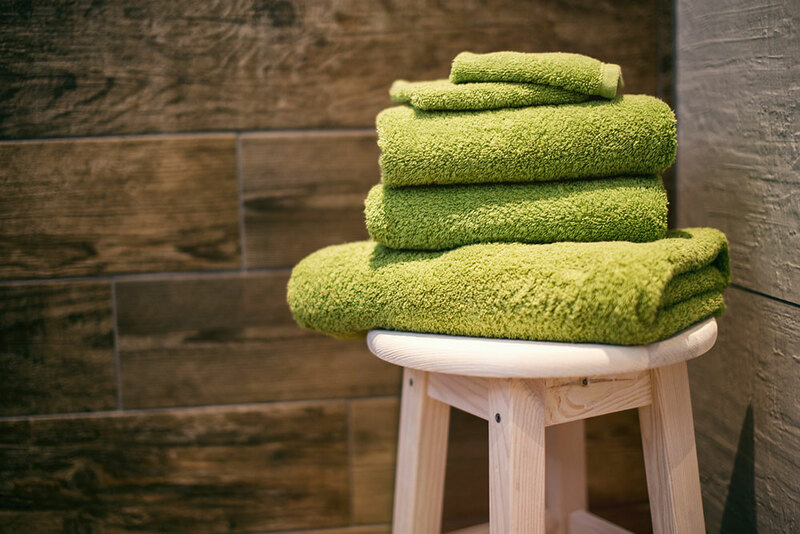 So, don’t hesitate to improve comfort in your new bathroom with an interesting chair and some decorative pillows that will serve as an excellent focal point. Plus, it will come in very handy while you pamper yourself! Being pretty is hard work! 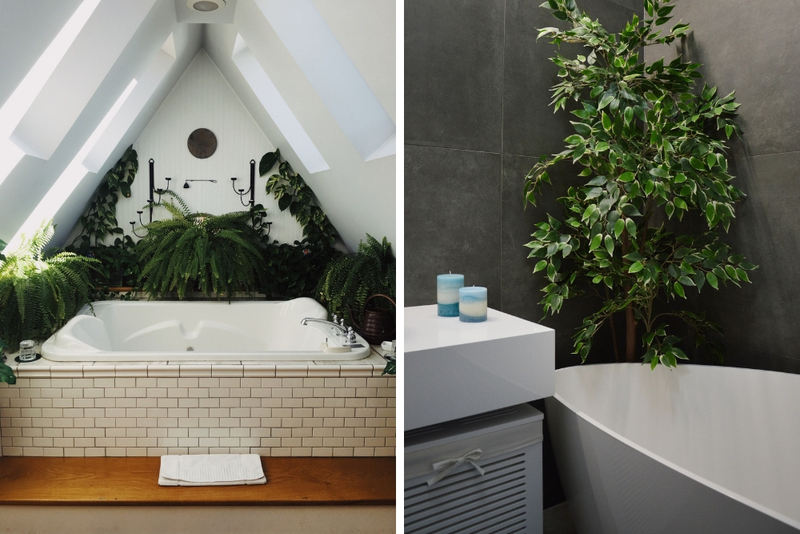 The easiest and cheapest way to add interest to your bathroom is to put in a few plants. They are an unexpected element in a bathroom, but it’s impressive how well it fits any space! 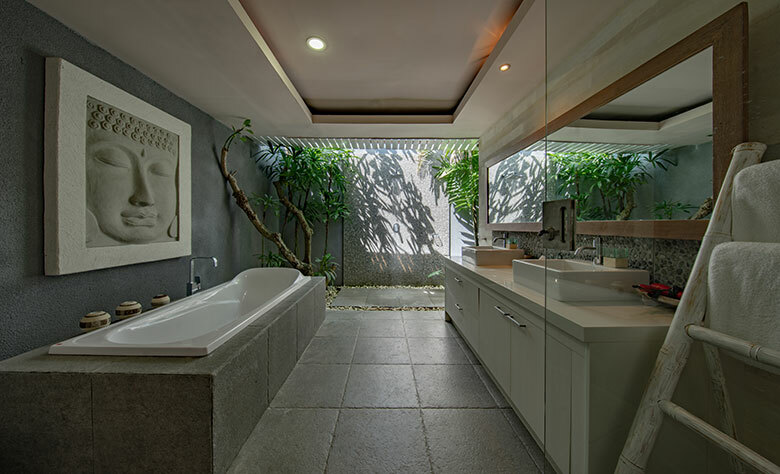 Everything from aloe veras to different ferns and hanging spider plants can thrive in your new bathroom. 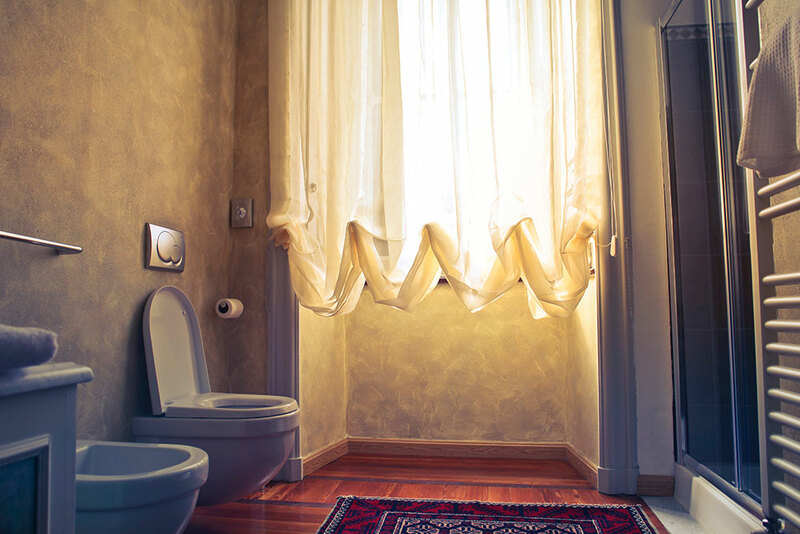 Every eclectic bathroom is unique and highly personalized to fit your lifestyle and preferences. So, try to finish off your bathroom design with a few décor elements that will make your space uniquely yours. For instance, if you love to travel, why not put up a big map of your favorite destination. If you like all things macabre, decorate your bathroom with (faux) animal skulls and discarded antlers. Ancient houses even have a fireplace in the bathroom, so make sure to turn this unique architectural element into an interesting focal point. As long as you think outside the box, your décor will be unique and exciting! Hopefully, you’re feeling inspired enough for some home improvement. A few touches of color, mismatched furniture, and new decoration will help you give your boring bathroom a unique and eclectic vibe!